In Portland Oregon, million dollar homes are still quite a rarity. In places like San Diego and San Francisco, million dollars would buy you an 800 ft.² high-rise condominium, but in Portland, you're looking at a pretty fantastic luxury home. Anything over the $1 million or even $2 million mark would offer a beautiful estate, lots of amenities, luxury materials and construction as well as custom designs and unique rooms or layouts. 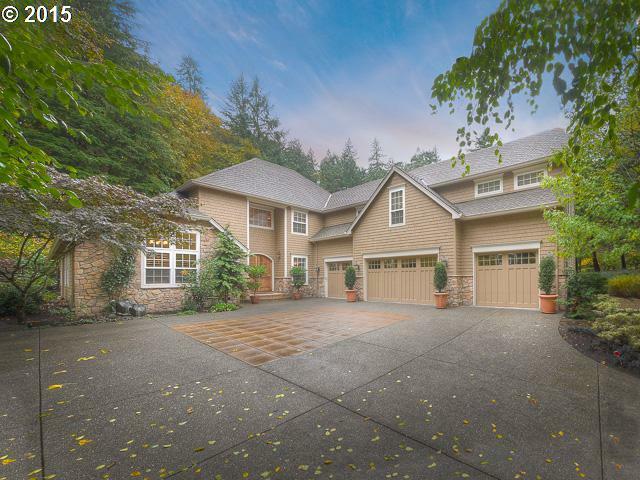 At any given time there are roughly $100-$150 million homes or more in the Portland Oregon metro area. About a quarter of those are condominiums in the downtown area, specifically in the Pearl district. The Cosmopolitan is a luxury downtown condo building and some of the highest penthouse units are over 3200 ft.², take up the entire top floor and feature a spacious three or four bedrooms with panoramic views of the river and the city skyline. But, even it just $1 million, residents still get a high rise condominium, beautiful layout, about 2000 ft.² with elegant design, materials and finishes. You're truly paying for the construction, view and materials used in the condominium. There are roughly 100 to 125 actual single-family homes or estates listed over the $1 million mark in Portland. Top prices can range anywhere from $5 million-$10 million on average for some of the higher-priced properties in Portland. The median home price in the million dollar and over markets about $1.8 million. There are several properties in this price range and they are typically 4 to 6 bedrooms, large layouts of over 4000 to 8000 ft.² and larger lots of up to 5 acres or more. Because Portland is so eclectic, there really are a wide variety of styles and unique designs to choose from in million-dollar homes. Most of these are custom-designed so you're not going to look like your neighbors by any means. For instance, located on NE. Alameda St. is a beautiful five bedroom and four bathroom home with over 6000 ft.² of living space, custom-designed kitchen with upgraded cabinetry, beautiful appliances and a spacious rooms. If your budget put you over $1 million there are plenty to search for and you really need to see each one to see the different custom features in each. Some have private wine cellars, master suites, luxurious bathrooms, well appointed landscaping and outdoor living spaces, multiple garages and top-of-the-line appliances. If you're looking for homes over $1 million, start your online search here. If you'd like a private showing of any or all of the luxury homes that meet your search criteria and price please contact me at any time. I can answer any questions you might have, be the mediator between buyer and seller and facilitate the transaction on your behalf with your terms and price.